One of the most current, effective marketing strategies for small business owners, across all types, is the “buy local” approach. And it’s not only working in favor of business owners; consumers are identifying with the movement, supporting and appreciating the local flair only small businesses can provide. People care about their communities. Shopping in local businesses directly supports that community and adds to its economic vitality. Many successful “buy local” campaigns build on this theme so that consumers understand and appreciate the power of local spending versus supporting national “big box” retailers. Consumers appreciate local flavor. Carrying the above notion a step further, many consumers see the value in purchasing unique, locally-created items versus mass-produced items. There’s strength in numbers. Small business owners who band together for collective “buy local” marketing campaigns stand a better chance of generating buzz and traffic. Downtown merchant associations and farmers’ market associations are just two examples of group approaches. Here in Gettysburg, PA, the Adams County Arts Council is following the “buy local” trend by offering their Holiday Art Show & Sale, now through December 30. 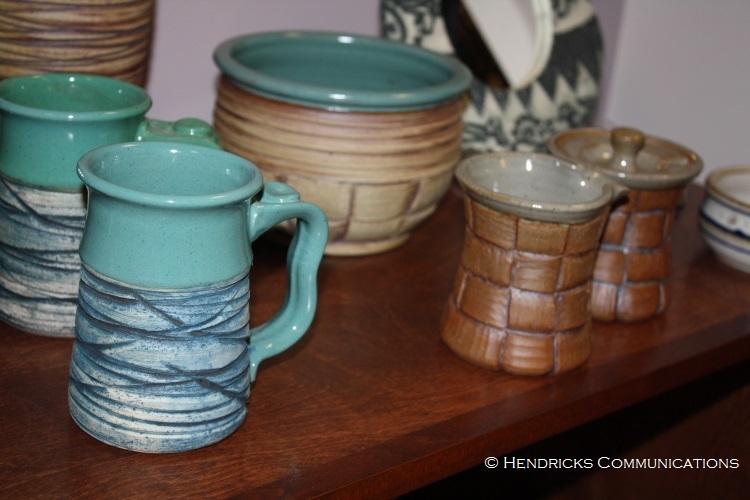 The collective works of 44 local artists and artisans is on display–showcasing a wide variety of wearable art, wall art, functional art such as pottery and glassware, and so much more. And what better time, than the holiday season, to support local artists? Not only do shoppers support their creative neighbors, but the recipients on their gift lists are receiving handcrafted, one-of-a-kind gift items for a truly personal touch. Take a tour of the Adams County Arts Council’s show, highlighting local talent–click any image below to open a slideshow. I am honored to be a part of such an incredible show by exhibiting several pieces of photography! This is only a fraction of the show! This entry was posted in Marketing and tagged Adams County Arts Council, buy local marketing, buy local movement, Gettysburg, local cooperative marketing by Karen Hendricks. Bookmark the permalink.